(male narrator) Did you know that manatees are related to elephants? Manatees are large aquatic mammals, and sometimes they're referred to as sea cows. 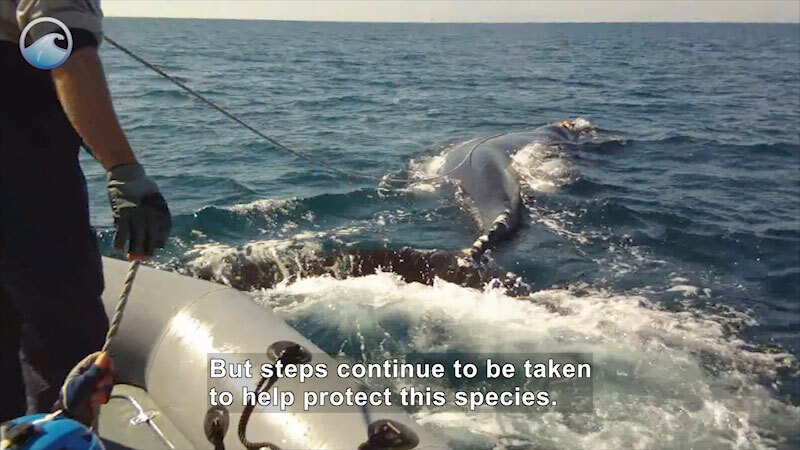 They're very large, averaging 10 feet long and 1200 pounds. 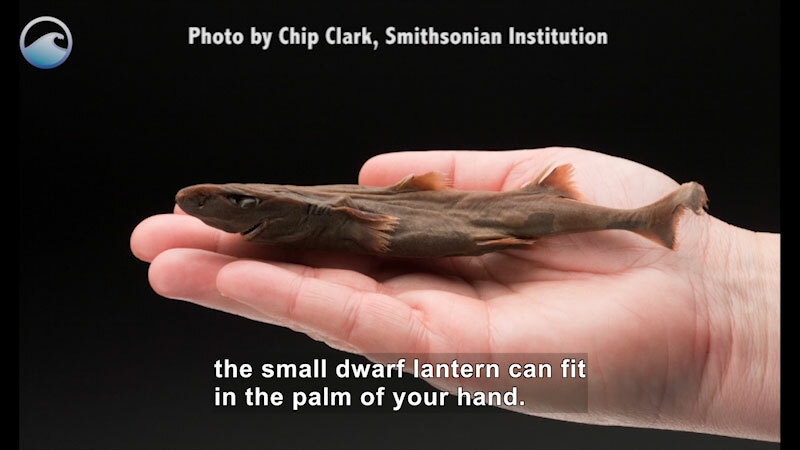 But don't let their size fool you. 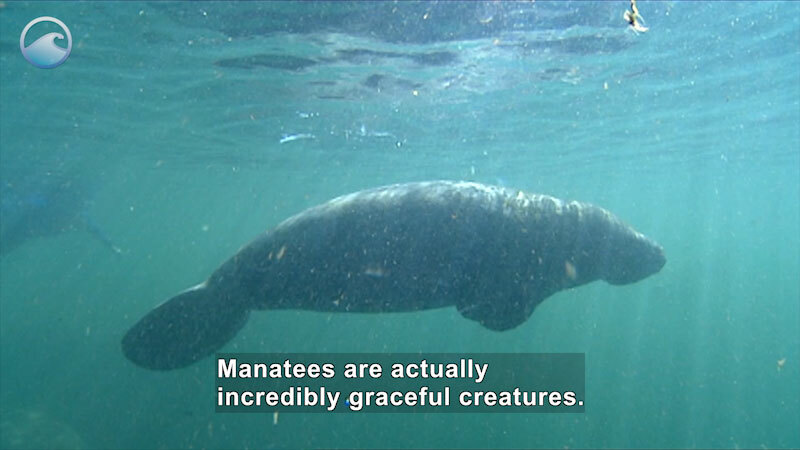 Manatees are actually incredibly graceful creatures. They also play an important role in maintaining a healthy ecosystem. 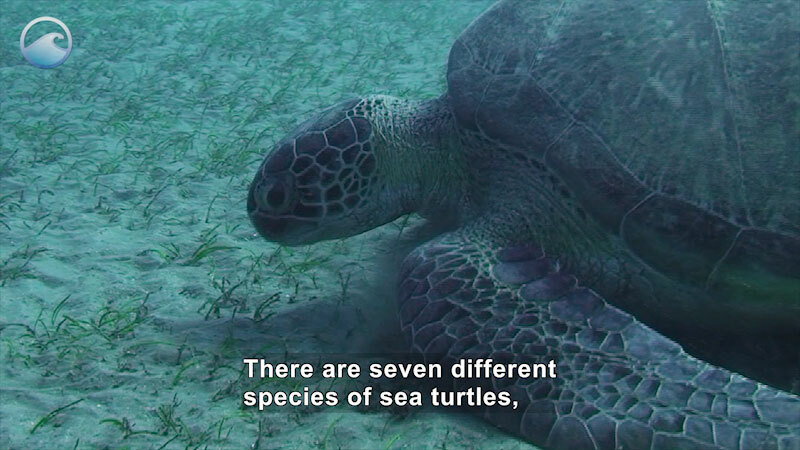 Manatees eat a lot of seagrass. By doing so, they keep the grass short, which helps maintain the health of the seagrass beds. While manatees don't have any true natural predators, they have still become endangered. There are three manatee species worldwide-- West Indian, West African, and Amazonian. All three are listed as vulnerable to extinction. So what has caused manatees to become endangered? There are two major threats-- loss of habitat and collisions with boats and ships. As new developments are built along waterways, natural nesting areas are destroyed. Sewage, manure, and fertilizer runoff enters the water and causes algal blooms. Some of this algae is toxic and can kill manatees if they eat it. Because manatees feed on seagrass, and seagrass needs sunlight and shallow water to grow, manatees spend most of their time in shallow water. They have little room to dive away from oncoming boats, which can lead to deadly collisions. 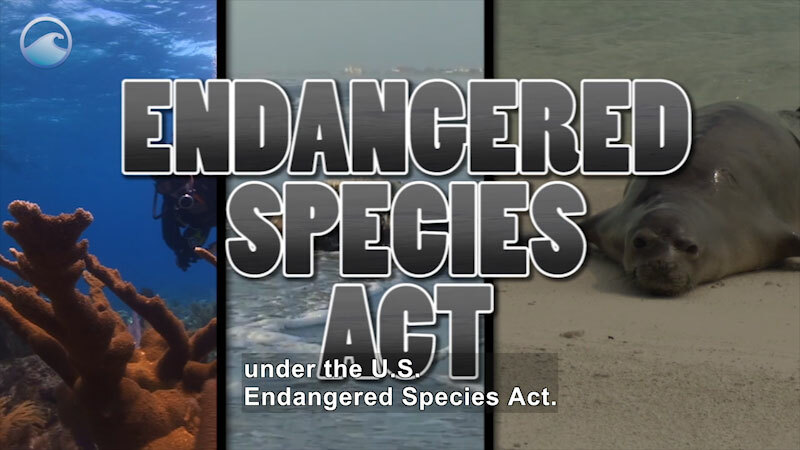 What can be done to help protect endangered species like the manatees? The first step is always an informed public. Educational campaigns teach boaters to look for water patterns caused by a manatee's tail so they'll know if a mantee is nearby and to proceed cautiously through shallow waterways. In some areas, local governments have adopted slow speed zones in known manatee habitat areas. In the state of Florida, a free manatee alert mobile app is available. A healthy ocean depends on manatees and manatees need our help. Accessibility provided by the U.S. Department of Education. There are three manatee species worldwide: West Indian, West African, and Amazonian. 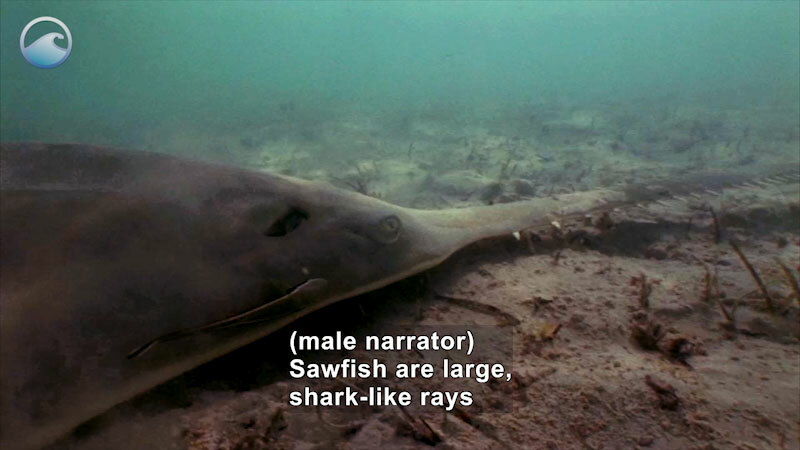 These large creatures average 10 feet long and 1,200 pounds; however, they are incredibly graceful aquatic animals. They also play an important role in maintaining a healthy ecosystem, but they face two major threats: loss of habitat and collisions with boats and ships. Part of the "Endangered Ocean" series.